A healthy and very tasty dish. It is even crunchier if you used fresh inoki mushrooms. 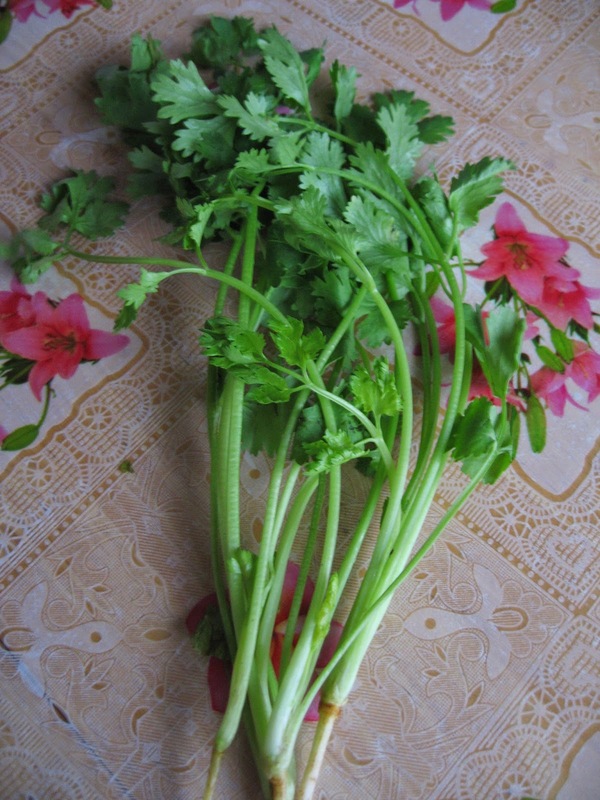 If you like to eat Chinese parsley, you can add more for extra flavour. 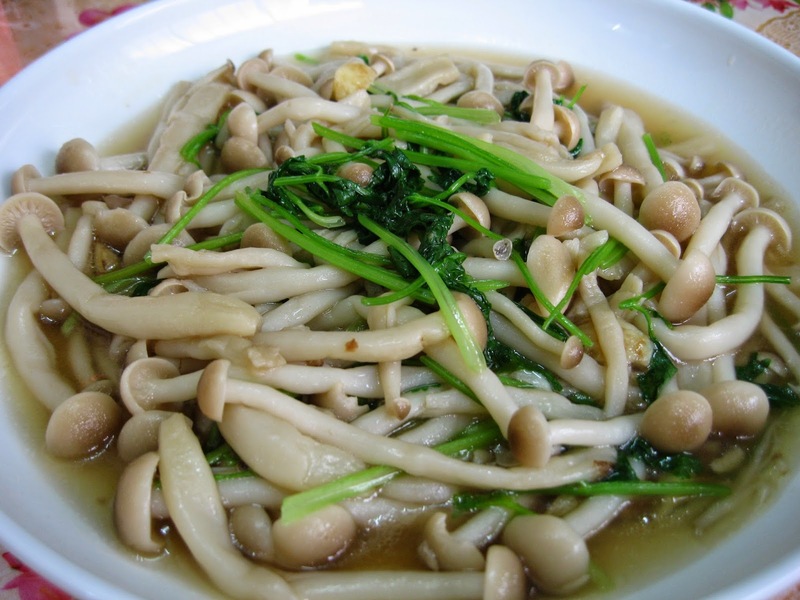 We usually eat this with rice but this goes equally well with congee. 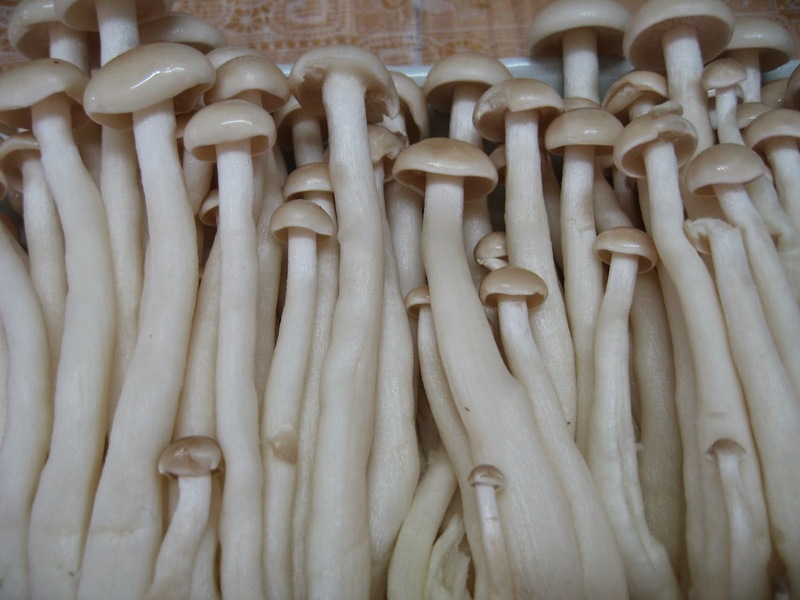 300g king buna shimeji (2 packets) or you can use Inoki mushrooms, cut off the roots and rinse. Dissolve all ingredients in the bowl of water. 1. Heat oil in wok over medium fire. Saute crushed garlic till light brown. 2. Add in the sauce ingredients. Then add in another Chinese rice bowl of water and bring to a boil over high heat. 3. 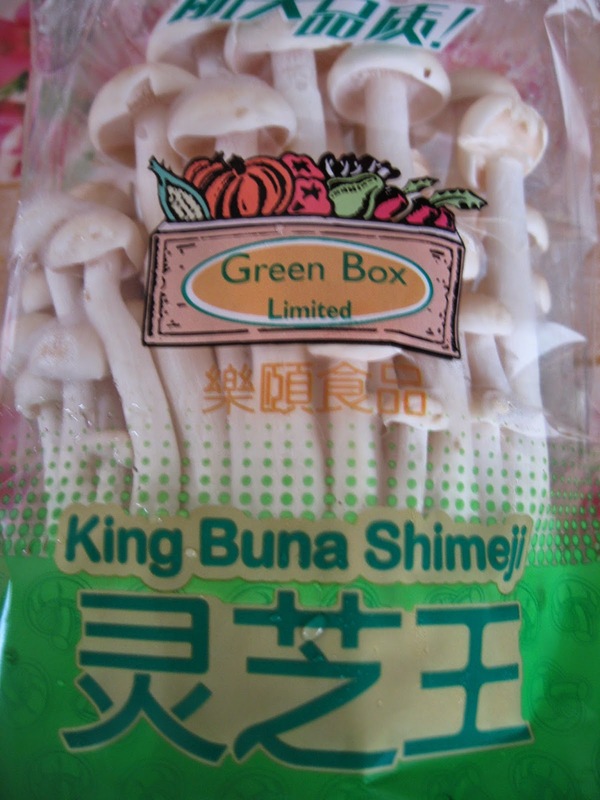 Add king buna shimeji/inoki mushrooms and let boil for 5 minutes. 4. Add parsley and the thickening solution. Stir thoroughly. 5. Let boil for another half a minute. I love these mushrooms! This dish is perfect for me. 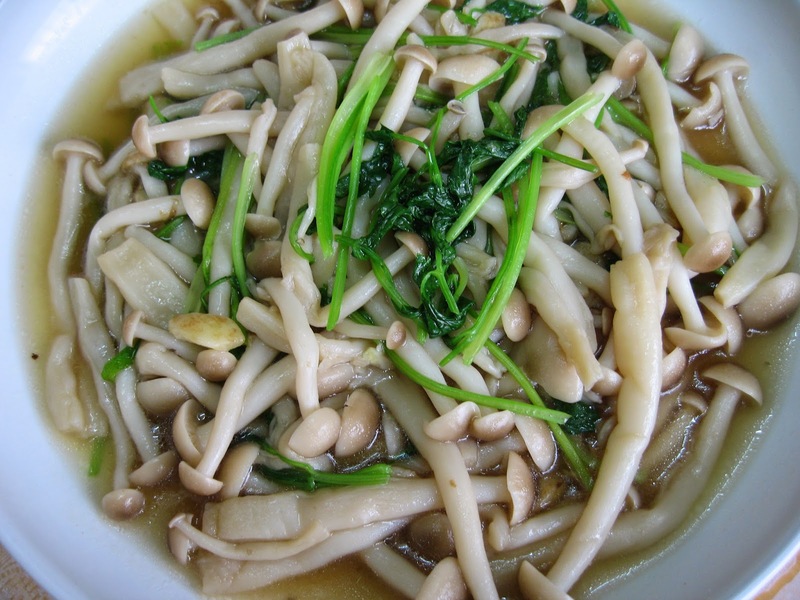 Inoki mushrooms are even better as they are crunchier.